A new way to reach travellers nearby. Bringing our users special offers as well as driving more traffic to our affiliates. 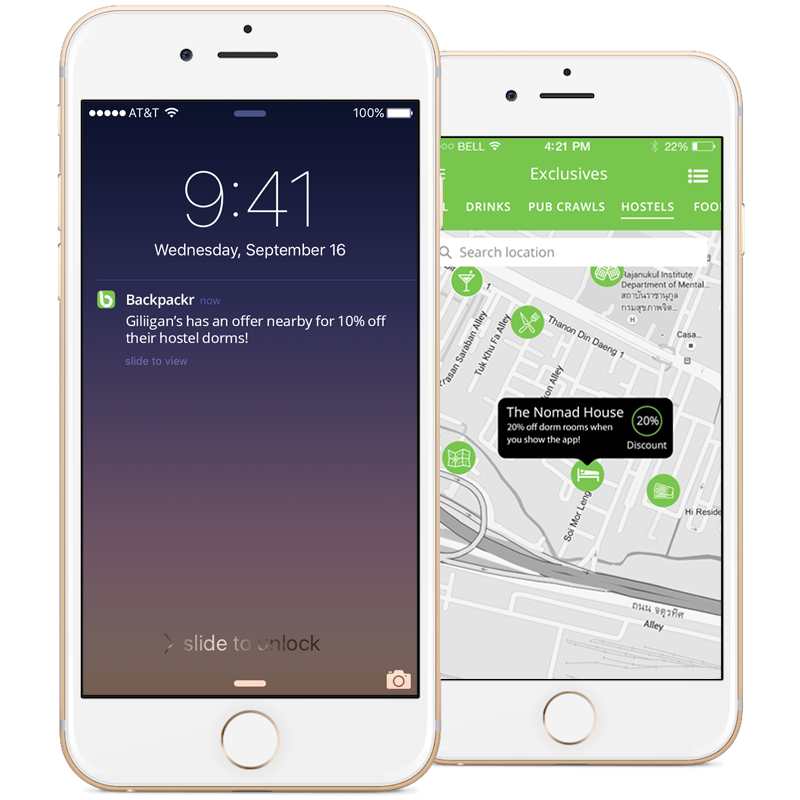 Reach 90,000+ backpackers by sending nearby push notifications with your offers. You offer an exclusive for backpackrs and it’s displayed as its own page on our application. Offers can range from discounted prices to free meals or drinks. It’s up to you what you offer as an incentive. 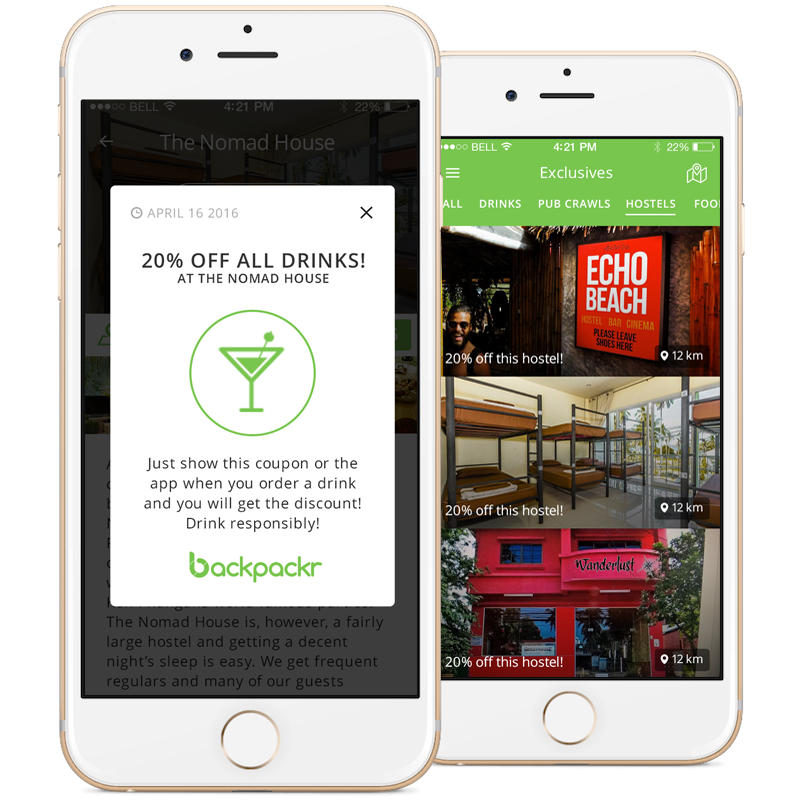 A backpacker books directly on your website or shows the app in person to receive their offer. As of right now it's free! A description of your product and the exclusive you wish to offer. The address of where it is located and three high quality images of your product. When a new user signs up for Backpackr they are asked to select the exclusive offers that appeal to them. A user can easily toggle different offers on and off in their settings. Once a Backpackr is within a radius of an offer they are notified on the application. All offers available in the area can be viewed on an interactive map. Note.The "accounts" indicates how many accounts you can have. In other words if you have two business, you can only use one for the free version. Promote your business to our users! Once you make an account we can help you set up the offer with images, links, emails if needed!